difficult waters of family life with their diagnosis. “Keep on the sunny side,” is advice Jen Norton gave her two children near the end of her life. She did so as she and her husband, Steve Norton, participated in the Marjorie E. Korff Parenting At a Challenging Time (PACT) Program at the Massachusetts General Hospital Cancer Center. PACT has helped more than 5,000 parents navigate the difficult waters of family life with a cancer diagnosis. 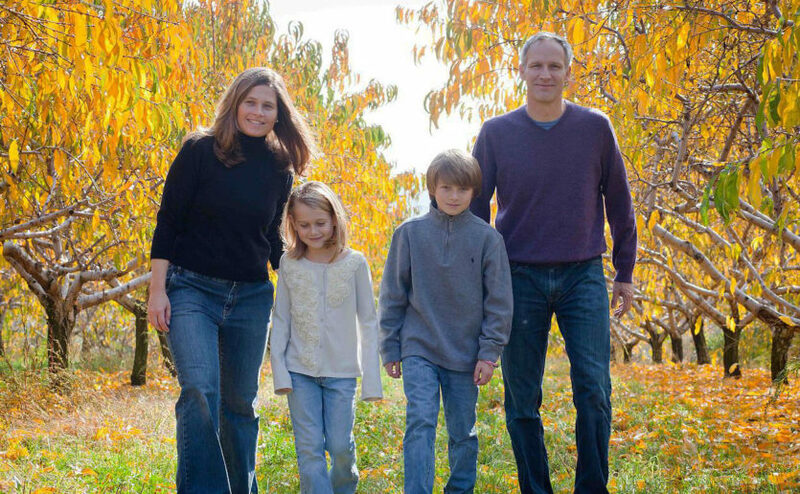 “It was how she lived her life,” says Steve, who says his wife “did not fear death but worried whether her kids would be safe in the future.” Jen, who died in 2016 at age 46 with gastrointestinal cancer, included her words of advice among the “life lessons” she prepared for her children, Anders and Greta, ages 13 and 10 at the time. She did so, in part, at the suggestion of Cynthia Moore, PhD, associate director of PACT. Mass General child psychiatrist Paula Rauch, MD, founded PACT 20 years ago and is still its director. The program was designed to help parents who are concerned about the emotional impact of their cancer diagnosis on their children. PACT is a free service to parents with cancer at Mass General. A one-of-a-kind program in cancer care, PACT has helped more than 5,000 parents with cancer navigate the difficult waters of family life with their diagnosis. Its training materials will soon be available on line. In 2012, Jen and Steve Norton were a high-profile professional couple working in New Hampshire state government when they learned that Jen had an aggressive form of gastrointestinal cancer. They struggled to decide how much to tell their children and how much to share publicly. At first, they decided to keep the message simple. “Mom has cancer and has to have surgery. We believe that will help,” Steve recalls telling the children. They shared the same information on Jen’s blog, striving to keep the public message consistent with what they were telling their children. Explaining cancer to children can be daunting, Dr. Moore says. And every family is different. Some families are more private while others, like the Nortons, more public. The children took the news in stride, Steve says, folding their mother’s medical appointments and treatment regime into the normal schedule of their daily lives and staying positive. Through PACT, they learned to how to share information with the children without overwhelming them. But when Jen’s cancer recurred in 2015, things changed. Her prognosis was poor. Steve and Jen knew that the next conversation with each child would be complex and difficult. They turned to Dr. Moore and PACT for help. Together as a family, they furnished a comfy, fashionable area near their fireplace, where Jen could rest and the family could be with her. By working with Dr. Moore, they learned to focus on the present. Steve let the children know that the goal now was to keep Mom comfortable and make each day as good as it could be. Eventually, Jen moved to a hospice home, where she spent her final days surrounded by family and friends. Because PACT is a free program and receives no insurance reimbursement, philanthropy plays an important role in ensuring the service remains available to parents with cancer. “I will always help support the PACT Program,” says Steve who hopes others will join him. Anders is 17 now, Greta 14. Both are doing well in school and have friends and activities. Steve has changed jobs. Life is moving forward for the Norton family. Still, they have inscribed “Keep on the sunny side” on a granite bench in Jen’s honor. The words continue to guide them. To learn more about how you can support the PACT Program, please contact us.